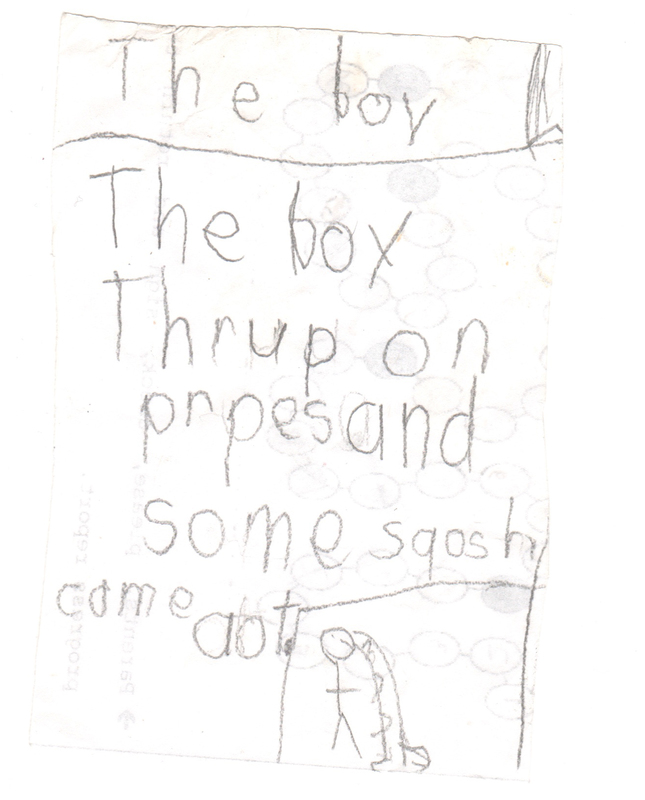 A story Oliver wrote and illustrated several years back. It’s a short story, but you might be surprised at how much action he managed to pack into it. It’s titled THE BOY. Are you ready for this? I mean, that’s pretty profound, eh? If I had to guess, it was around the time I was cooking this with some frequency. Don’t let this FICTIONAL TALE deter you. It’s quite delicious. Fifth grade school pics! Awwww. I swear I brushed Linus’s hair that morning. Ollie refuses to show his teeth.